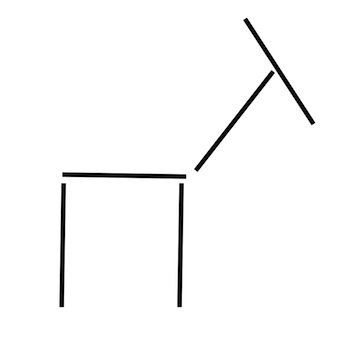 On Friday I posted this puzzle…..
Take five matchsticks and form the figure of a giraffe as is shown in the diagram. 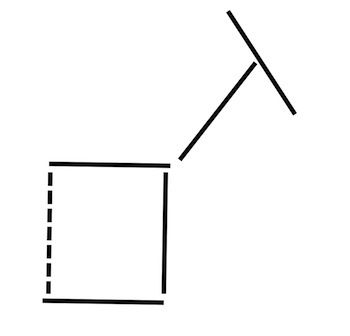 Now can you move just one matchstick so that the shape of the giraffe is remained intact but is rotated or reflected? If you have not tried to solve the puzzle, have a go now. For everyone else, the answer is after the break. Nope, it’s just reflected ! I actually had to physically get the matchsticks out before I could see what you meant, but I got there eventually. I guess my understanding was deterred by the small slant. Thanks for pointing it out. I love being wrong – means I’ve learnt something. is not same giraffe. in original head is looking down. in final head is looking up. badly drawn puzzle mr wisard. 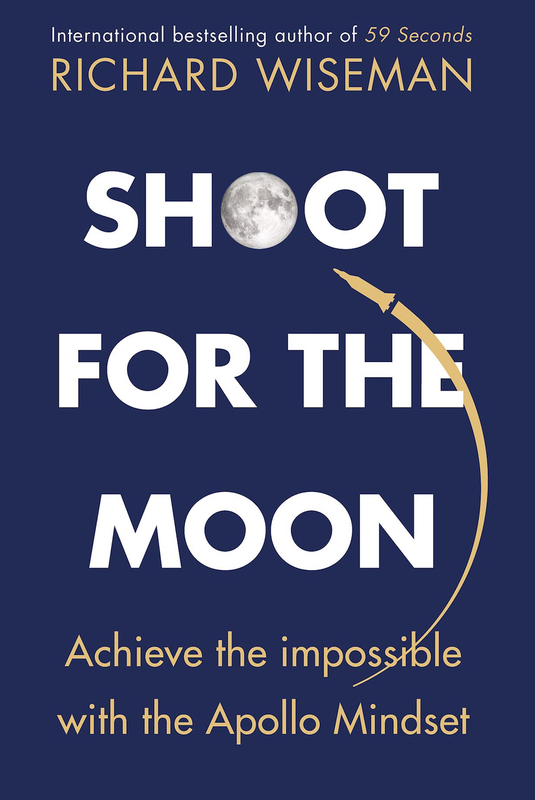 Incorrect – look again. Tilt your head if you have to. So, you amputate two of the Giraffe’s legs, re-attach them, not to the body, but to the other two feet and you expect the giraffe not to move its head? Unusual of Richard to actually own up to the objection to his answer. Usually he just leaves us to argue over it. Or, in the case of one of the more philosophically tricky he set recently, give no answer at all and just leave us to argue over it. This was a good answer, giving both solutions, which is probably how we all felt: “technically no, but allowing for the angle being a minor error, there is a solution”. Awwww the head angle makes a huge difference to those of us who get hung up on technicalities. Of course I saw that possible axis of reflection, but technically it did not solve the puzzle! Why was the diagram not drawn with the correct angle in the first place? I tested this with my kids at the dinner table and they tried every match except the correct one. Oh well.